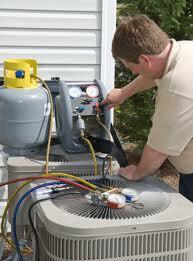 Of course, there are several choices when it comes to Citronelle Alabama air conditioning repair companies. So, it can sometimes be hard to figure out which one to use when it is time to have your ac system repaired or replaced. Some are staffed by courteous, well-trained people with your best interests at heart, while others may simply hire anyone they can get for cheap, inexpensive labor that end up costing you more because of mistakes and misdiagnosis. If you aren’t sure what to look for in an Citronelle Alabama Air Conditioning Repair or heating maintenance company, then you should consider some of the following. One thing to look for is a good reputation in the community. A company’s reputation is built up through years of reliable customer service. These are the same companies that have been able to prove time and time again that they provide a great service and will repair your system right the first time. By no coincidence, they are also the Citronelle hvac companies that have managed to stay in business the longest, meaning that they are most likely keeping their customers happy so that they call them back when needed. Be certain the company you hire can meet and keep appointments. It’s probably happened to everyone at some point, you call a service company and they will say they will be there at a certain time on a certain day. They might show up a few hours later or not at all. Hopefully, they will at least call to let you know if they aren’t going to be there however, not everyone does and there you are wasting half of your day and normally very hot if your air conditioning system isn’t working. When a company is not making their appointments it usually points to a lack of oversight somewhere in the company. No one is staying on top of things and making sure that appointments are being met and the work is getting done. Sure, it could just be a bad week and their normal scheduler was out with an illness, but not keeping an appointment and not calling when you may be late is never a good sign. Check customer reviews online. With the advent of the internet it is much easier to find customer reviews and experiences for nearly every Citronelle HVAC company. There are several websites that have a forum for customers to go to and write reviews about almost every type of service offered.